Dad popped past this morning on his way out somwhere, having already been to some garage sales (or simply "sailing" as we call it) and deposited 6 inches of second hand books. Looks like my Christmas break history reading is sorted! I can only reiterate the comments and wishes of my esteemed blolleague, Mr Mills; have a Merry Christmas, a Kickin' Kwanzaa, a Happy Hanukkah, a Smashing Solstice, a Cool Yule, and a safe and terror-free Feast of The Dread Lord Xthughalotl of the Ebon Tentacles! May your brushes remain sharp, your paints remain liquid, and your collection of basing materials remain properly organised! And a Merry Xmas to you! May Santa bring you lots of gaming goodies! And a very Happy Christmas to you both! Merry Christmas Evan and Millsy - cheers for the good wishes and entertaining blog this year. Merry Christmas to the both of you boys! Nice little book haul you got there. You will have to tell me how, "Korean War: Australia in the Giant's Playground" is. And of course happy holidays. Merry Christmas Mr. Millsy! Compliments of the season to you and yours. Merry Christmas Millsy - enjoy your hols! 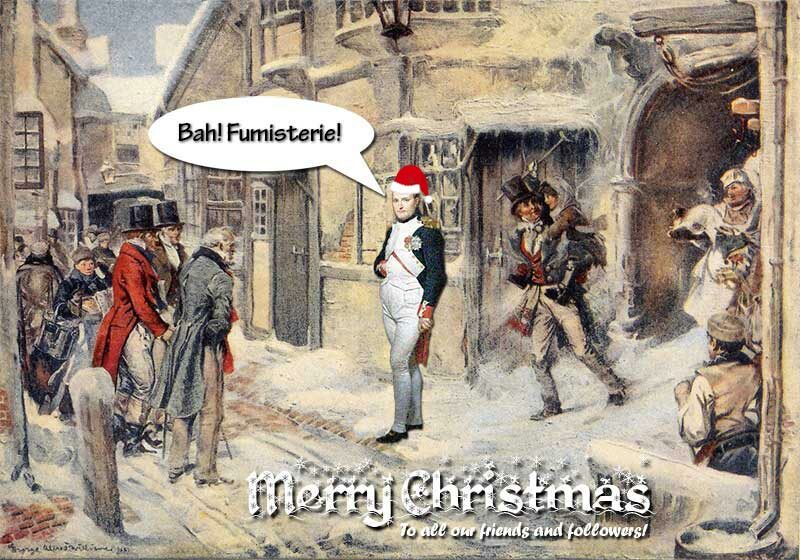 Have yourselves a very merry Christmas chaps! Merry Christmas to you Millsy! Have a great Christmas Millsy, 3 weeks off your a lucky man!!! Merry Christmas Millsy. Enjoy your break and the reading too! Merry Christmas, Michael! Enjoy the holiday heatwave too. No, no, no! You're doing it all wrong!!! I'm the main protagonist here on C&G. I've been wargaming for over 30 years, playing far too many systems across far too many periods. I'm a doting husband and father of two wonderful kids. Canister & Grape is a bunch of disreputable individuals with nothing better to do on a Friday night than get together and play wargames.